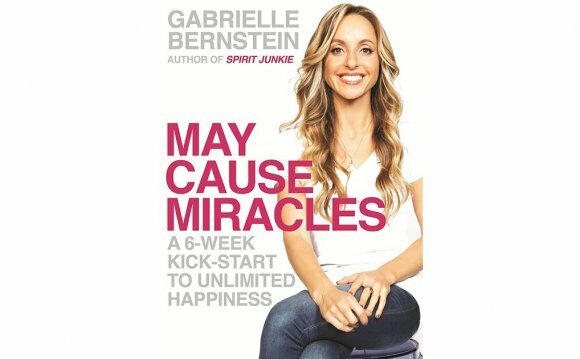 MAY CAUSE MIRACLES is a six-week workshop based on my new book. This course will help you create beautiful, radical change by adding up subtle shifts every day and every week.Though each shift is simple, consistently choosing love and acceptance will transform your life in awe-inspiring ways you may have never thought possible. I’ll help you identify how fear has blocked your life’s flow. I’ll guide you to embrace the key principles: witnessing your fear, willingness to change, shifts in perception, gratitude, forgiveness and miracles. Get psyched to learn about the importance of self-love. I’ll guide you to strengthen your relationship with yourself, and you’ll become willing to release old patterns of self-attack. I’ll guide you to realize how fear has blocked your financial abundance. The exercises activate gratitude for your workplace, help you face your financial fears, and guide you to shift your limiting beliefs around money and work. This week is applicable to any type of work. I’ll help you get honest about how fear has held you back from romantic bliss. We’ll use powerful tools from A Course in Miracles that will lead you to experience immediate internal shifts around romance, whether you’re single or attached. You’ll load up on practical exercises that shift your patterns of self-sabotage when it comes to food and your body. I’ll guide you to identify the root cause of any food and body issues you may have, and you’ll see how ingesting loving thoughts greatly enhances how you ingest your food and perceive your body. Embrace the practice of being a miracle worker in the world! This week helps you shift your focus onto your power to create energetic change in the world. Service is a key principle in A Course in Miracles—when you focus your thoughts and energy lovingly onto others, your heart opens and your true purpose shines bright. Practical tools to help you release blocks, overcome obstacles, and choose love over fear. Open dialogue and space for questions. Group meditation to ground our intentions and create amazing mental clarity.